To reduce the number of traffic/road accidents caused by impaired driving. Our mission is inspired by the number of deaths witness in the U.S. and the world as a whole as a result of people driving while drunk or under the influence of drugs. Although alcohol-impaired driving cases have decreased over the past decade in the U.S., more need to be done. According to the latest CDC statistics, alcohol is responsible for a third of all road accidents that happen in the U.S. 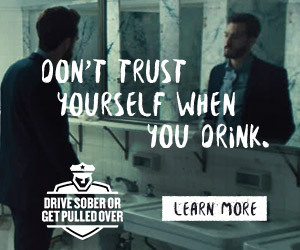 Furthermore, more than a million drivers are arrested for DUI or narcotics charges in the U.S. every year. There are much more (111 million cases) self-reported alcohol-related driving episodes in the U.S. every year. Recent CDC reports have put marijuana users at a higher risk of causing accidents given the fact that 13% of nighttime weekend drivers usually have marijuana in their bloodstream. However, there is a consensus that other factors may increase road accident risks among marijuana users. We are also troubled by the fact that most impaired driving culprits are young people who make up the majority of the population in almost all countries globally. Last but not least, we believe the solution lies in awareness. If all drivers around the world understand the dangers of drunk driving and the simple solutions to avoid being part of the statistics, drunken driving cases will decrease drastically. Drive Sober Illinois offers everything there is to know about drunk driving including simple, practical solutions. We also understand the seriousness of distractive driving behavior such as using gadgets while driving. A recent NHTSA report indicates that almost half of all drivers in the U.S. answer calls while driving and approximately 24% place calls while driving. Considering there are over 210 million licensed drivers in America, these are shocking statistics that need to be shared. The same report indicates there are over 660,000 drivers at any given time during the day in the U.S. using their cell phones or other handheld devices while driving. We raise awareness because we care!